This release adds extension support for Visual Studio 2017. At this moment you can only obtain the extension for Visual Studio 2017 through the Visual Studio Gallery. This is due to an issue with the Wix installer not supporting Visual Studio 2017 yet. Please note that if you installed the VS2017 extension beta, you will need to remove that before installing this release. Also, due to changes in signing technology for VS Extensions, we can no longer support Visual Studio 2010, 2012 or 2013. 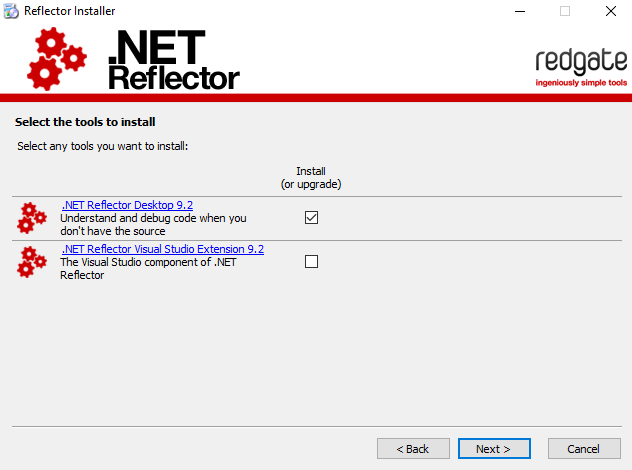 What's happened to the option to not install the Visual Studio extension? I only want the desktop application, but I can't install the update unless I close Visual Studio. I've also just tested the installer with VS open (and the VS extension not ticked) and it installs fine. What are you seeing? Just thought, you've already got the extension installed and the installers trying to update it? That option isn't available when you install the 9.2 update from the "Check for updates" option in the desktop application. The only option is to specify the directories where the application and the extension will be installed. The installer then insists that "devenv" must be closed before it can continue. Yep I've confirmed with the Installer team that this is unfortunately just how the installer works at present I'm afraid. It's on the backlog to look into but its not currently a priority.